Fluorescence is an invisible glow that a diamond emits under Ultraviolet (UV) Rays. After evaluating hundreds of diamonds, we can confirm that often exceptional diamonds are unnecessarily avoided due the presence of fluorescence in them. In a nutshell, in D-F color diamonds, no fluorescence is perfect. In G color diamonds, none to faint fluorescence is helpful. In H-Z color diamonds, medium to strong blue fluorescence can be a very helpful factor because blue a complementary color to yellow, making the diamond look whiter than its actual color. Do not avoid a stone because of fluorescence, but also make sure you have a solid return policy in case the fluorescence affects the stone in a negative manner (making it look oily or hazy in front of the sun) which is the case in less in 10% of diamonds with fluorescence in them. 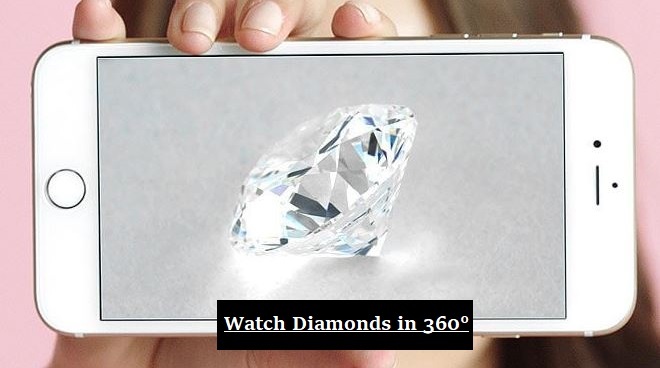 JamesAllen.com has the best 3D 360 degree 40X technology for viewing diamonds in ultra high resolution. It can be an extremely helpful tool in comparing how different quality factors such as cut, clarity and color affect the overall brilliance of a stone. Make sure you play with their search filter to get a good sense of different diamond options before making a final decision. D-E Color - Good, 3-6% discount on price. F-G Color - Very Good, 2-3% discount on price. H and Above - Excellent, 0-2% discount on price. 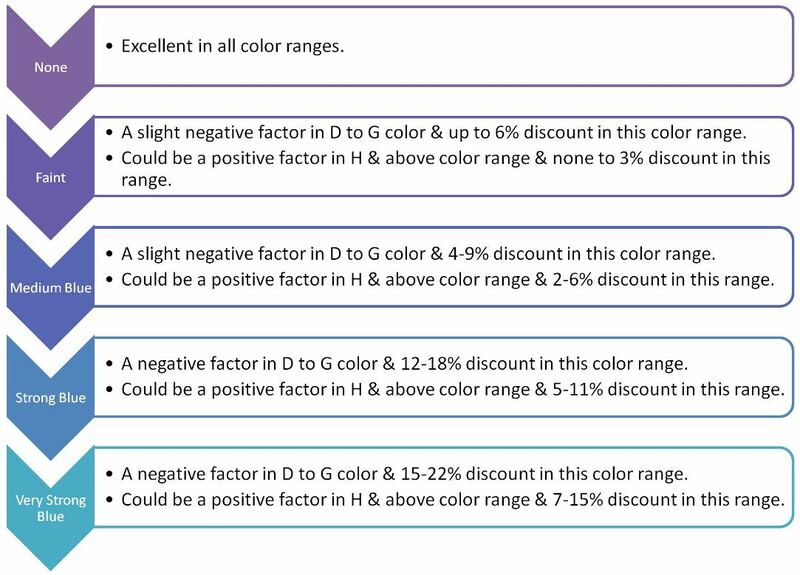 D-E Color - Good, 6-8% discount on price. F-G Color - Very Good, 2-5% discount on price. Strong Blue D-E Color - Fair to Good, 12-18% discount on price. F-G Color - Good to Very Good, 8-12% discount on price. H and Above - Very Good to Excellent, 4-10% discount on price. Blue D-E Color - Poor to Good, 15-20% discount on price. F-G Color - Fair to Very Good, 10-15% discount on price. H and Above - Very Good to Excellent, 5-11% discount on price. As confirmed in the Gemological Institute of America (GIA’s) study, we also confirm that in most cases consumers will not be able to detect the presence of fluorescence in a diamond. Furthermore, a great majority of diamonds with fluorescence can have as much brilliance as ones with no fluorescence, and that the milky, hazy and oily looks in a diamond can also be found in stones with no fluorescence. The most important factor in a diamond is its appearance, and if you’re happy with how it looks, don’t worry about the fluorescence in it. In addition, enjoy the 4-15% discount that you might get when you buy a diamond with fluorescence in it. In our opinion, the discount should be up to 2% for faint fluorescence, up to 5% for medium blue fluorescence, up to 12% for strong blue fluorescence and up to %18 for very strong blue fluorescence. To top it all, if you buy your diamond from James Allen, they will accept a return within 30 days with no questions asked in case if you end up not liking the fluorescence in your diamond. Of the diamonds submitted to GIA over the past decade, around 25% to 35% of them exhibited some level of fluorescence. In under 10% of these diamonds, fluorescence affected the appearance of diamond. However, this affect is not necessary negative and could sometimes be complementary to the brilliance of the diamond.The visible color is blue in more than 95% of the diamonds that exhibit fluorescence and because blue is a complementary color to yellow, it would make tinted diamonds look more like colorless diamonds. After reviewing a random sample of 26,010 diamonds, GIA found that only 9,175 or 35% exhibited some level of fluorescence. Of the 9,175 diamonds , 38% or 3,465 were reported to have faint fluorescence. Please note that GIA consider faint fluorescence as the lower end of the blue fluorescence e.g. faint blue fluorescence, medium blue fluorescence, strong blue fluorescence, and very strong blue fluorescence. After reviewing a random sample of 26,010 diamonds, GIA found that only 9,175 or 35% exhibited some level of fluorescence. Of the 9,175 diamonds , 62% or 5,710 had blue fluorescence ranging from medium to very strong blue fluorescence. While 97% of these fluoresced blue in varying intensities, 3% or 162 stones fluoresced other colors such as yellow, white and orange. Fluorescence in most diamonds does not affect the overall appearance of the diamond. In fact, fluorescence can be a positive factor for the appearance of the diamond in near colorless or tinted diamonds. Blue fluorescence can help look near colorless diamonds look colorless. We have seen H color diamonds with medium blue fluorescence that look like colorless diamonds to the naked eye. Strong blue fluorescence is not necessarily bad! We have seen many diamonds with strong blue fluorescence that has not had any negative effect on the appearance of the diamond. In fact, once we observed an M color diamond look like near colorless diamond because of very strong blue fluorescence. Diamond with very strong fluorescence is not common. Most diamonds with very strong fluorescence are in blue color. Fluorescence is your friend not foe because it can lower the price of the diamond by 4-10%. The price of a diamond is not significantly affected if the diamond has medium blue or faint fluorescence. In some cases, diamond fluorescence might affect the overall appearance of the diamond. Avoid diamonds with fluorescence that makes the diamond look hazy, oily or cloudy. In very few cases, fluorescence might make a diamonds look hazy or cloudy, and it is good to avoid such diamonds. Ask your diamond dealer about such possibility prior to make the purchase. Inquire about the return policy of the diamond dealer and make sure you have a strong return policy if you end of not liking the look of your diamond because of its fluorescence or for any other reason/s. 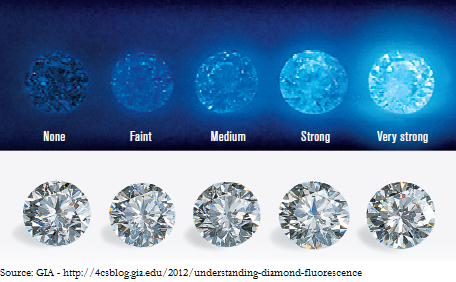 It is common for high grade diamonds to have blue fluorescence such as D or E color diamonds. Fluorescence is also common in F color diamonds. You might be able to get between 4% to 10% discount on your diamond purchase without compromising on the overall quality of the diamond. In our opinion, the discount should be up to 2% for faint fluorescence, up to 5% for medium blue fluorescence, up to 12% for strong blue fluorescence and up to %18% for very strong blue fluorescence. Medium blue fluorescence might enhance the color of your diamond if it is within H-L range or higher. Faint fluorescence will also help you save money on your diamond without losing its overall brilliance. When buying a diamond with fluorescence make sure you have the option of returning it just to be on the safe side. For average buyers (consumers), no systematic effect of fluorescence was observed. Even experienced observers or graders did not agree on the effect of fluorescence on the stones they were given to evaluate. Diamonds with strongly blue colored fluorescence were perceived to be having higher grade than the actual color grade of the diamond. Most observers did not find any connection between fluorescence and diamond clarity. 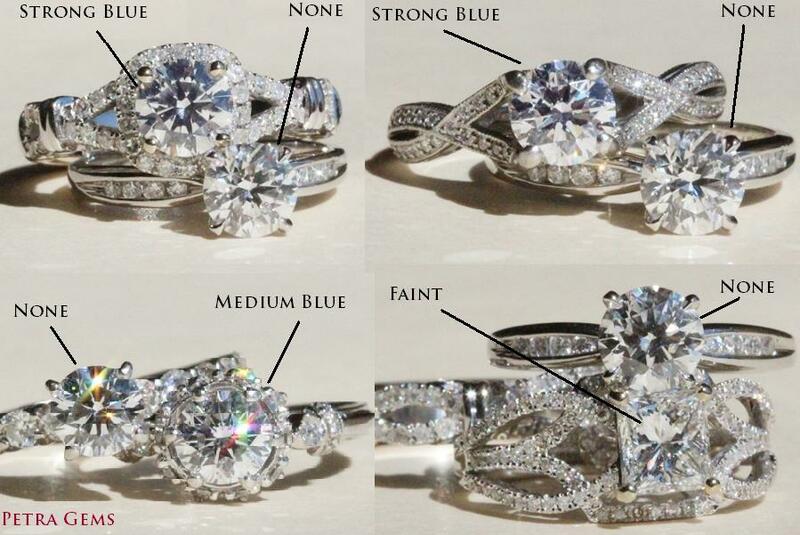 This picture illustrates how different types of diamond florescence might look like in regular day light. As you compare them, you'll notice how hard it is to tell the difference between diamonds with no fluorescence and diamonds with different types of fluorescence while viewing them by naked eye without the help of any instrument. It is hard to tell the difference because all of these are high quality diamonds in terms of the four Cs as confirmed by GIA in the grading report. All of the above diamonds are graded by GIA. None or no fluorescence, medium blue fluorescence, strong blue fluorescence, very strong blue fluorescence, faint fluorescence, yellow fluorescence, and green flourescence, among others. Blue is the most common form of fluorescence in diamonds. Most of you have probably noticed the term "Fluorescence" on GIA or AGS Diamond Grading Reports or in Petra Gems blogs. The concept of fluorescence is often misunderstood. According to GIA, fluorescence is the effect that ultraviolet (UV) light has on a diamond. 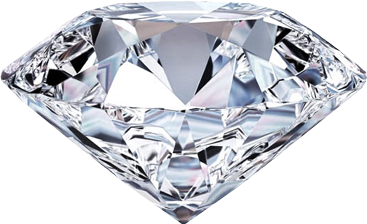 It delineates how much strength the diamond has against the long-wave UV light. Fluorescence is an invisible glow that a diamond emits under UV rays. GIA scale uses the following grades to identify fluorescence: None, Faint, Medium, Strong, and Very Strong. More than 95% times, color of fluorescence is blue, but diamonds can fluoresce other colors as well. Yellow is the next common color a diamond will fluoresce, and any other color of fluorescence would be rare. Because of the invisible property, majority of the time, fluorescence will have almost no impact on the aesthetics of the diamond. According to GIA, of the 25% to 35% of the diamonds submitted to them that had fluorecence, only 10% of those diamonds had a slight effect on the appearance of the diamond. A typical diamond wearer will not see that effect if the grade of Faint, Medium Blue and in some cases Strong Blue fluorescence is chosen. There are some websites that discuss fluorescence as a negative factor for diamonds. Two most misunderstood concepts in fluorescence are the color and the strength of the fluorescence. A diamond will look whiter if the diamond fluoresce blue. Don't panic if the diamond fluoresce blue, in fact it is recommended in H to J color range diamonds. Most high color grades such as D-E will often have blue fluorescence as well. In some diamonds, it is a negative factor if the diamond fluoresce yellow color. As stated in the beginning of this blog, the grade of fluorescence ranges from None to Very Strong. Sometime diamonds with very strong fluorescence tend to have a milky look even under everyday lighting conditions. To a typical observer, rarely your diamond might appear dirty or cloudy under very strong fluorescence. A good rule of thumb would be to double check with your diamond dealer about the effect of fluorescence in the diamond you are considering to purchase. Avoid purchasing a diamond with extreme fluorescence in terms of strength.